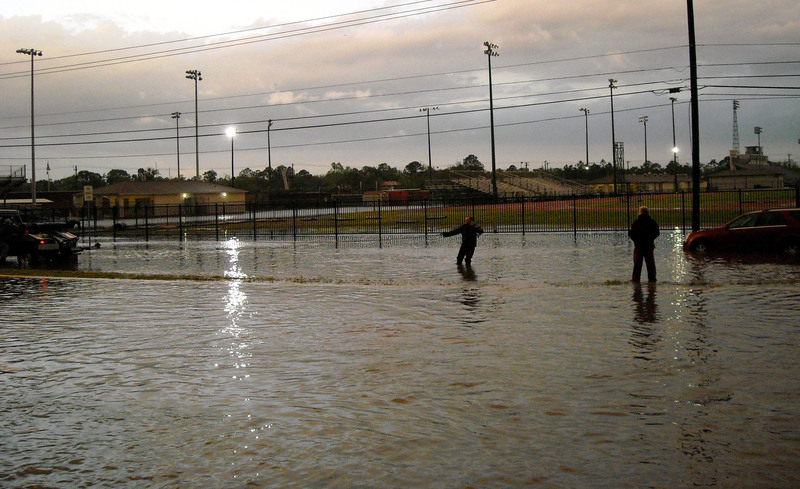 The other night this part of Texas dealt with some serious rain as a line of thunder storms made their way east. 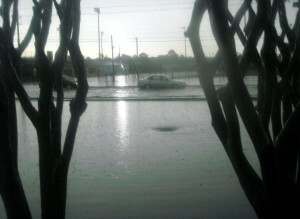 Of course anyone who is familiar with the Houston area knows that many of the roads tend to be built at or below sea level and simple rain can quickly turn said streets into rivers leaving cars afloat and drivers stranded. 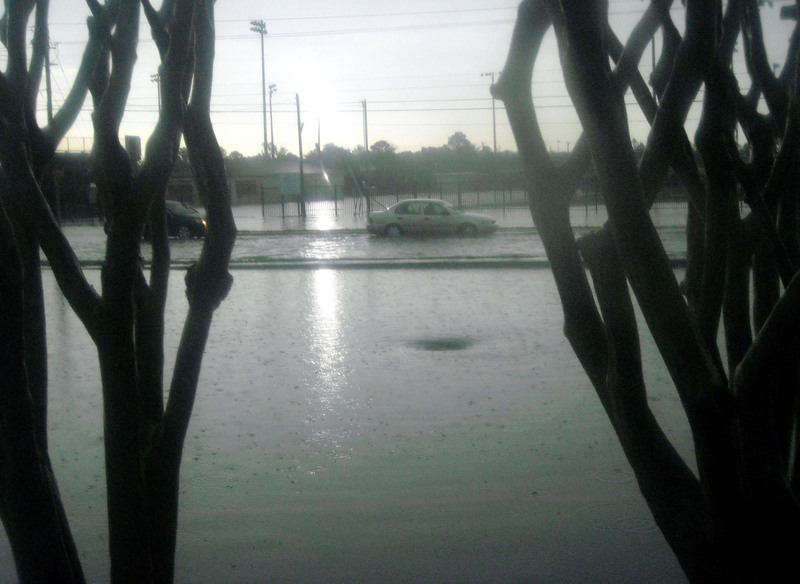 Water rescues such as this one are a common sight when it rains in Houston due to low roads. So knowing that the storms were coming, and with them the increased likelihood of flooded roads, I made sure that I was tucked safely inside when the first rain drops arrived. With the knowledge that I was going to be riding the storm out in the comfort of the Triple B Gigaplex I decided to pass the time flipping between a NASCAR race in Richmond, VA and the new episode of Doctor Who. I suppose I could have added a baseball game into the rotation as well but I really try to only flip between two shows at a time. The race was one of the slow developing ones of late and I found myself flipping less to the race and staying more on the channel with Doctor Who as the thunder popped and the lightning made the night sky bright outside my windows. Water slowly draining to the Gulf of Mexico following a typical rain event. Then with the Doctor and Clara facing certain peril in the Tardis, my entire world went dark with a flash of lightning and a crash of thunder. Yes, boys and girls I was in the dark facing a power outage and not even a sonic screwdriver could help. I waited for a minute or two to see if the lights would come back on but sadly they did not and I knew that I was most likely in for a long, dark night. Now, some people might be perfectly content to stay inside a darkened home and wait for the power to come back on. In fact there were centuries before electricity where it was quite common to be in the dark or to only have a candle’s light to pierce into the darkness. Unfortunately, as a man of action I am not one of those people to whom total darkness appeals. So with no sign of an end to the blackout in sight, I did what any rationale person in a completely dry place in the middle of a terrible storm would do; I went outside. 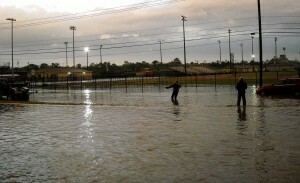 This is what happens when rain meets low roads in Texas. Thankfully, my car was close by and was equally dry to the darkened house that I had left so my exposure to the elements was minimal. Now, before I get people thinking I am crazy for heading out into the storm, as is usually the case there was method to my madness. Once inside my car I was not only able to listen to the NASCAR race on the radio but I was also able to charge my phone. And considering I did not know when power would be restored I figured a charged phone might come in handy. While the trip to the car in the midst of the storm had a practical purpose it also served to provide a great backdrop for a race that was still as boring on the radio as it had been on television. With no lights as far as the eye could see, the lightning was free to put on a dazzling display of its power in both the cloud to cloud and cloud to ground variety. In the darkness I could see the flashes of brilliance from the lightning without any artificial lights distracting me. 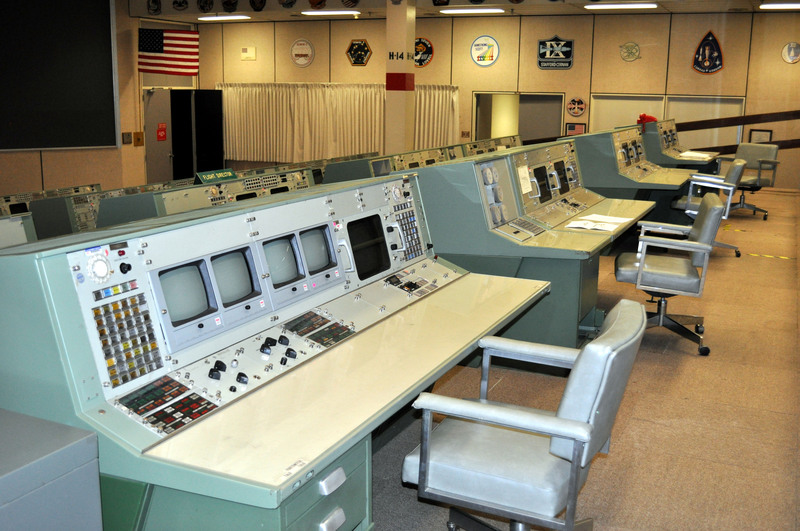 So as I sat there in my running car with the air conditioning cooling me and the radio filling my ears, it was a completely surreal experience in both a powered and unpowered world. Drivers often avoid the warning signs and travel through the flooded roads. 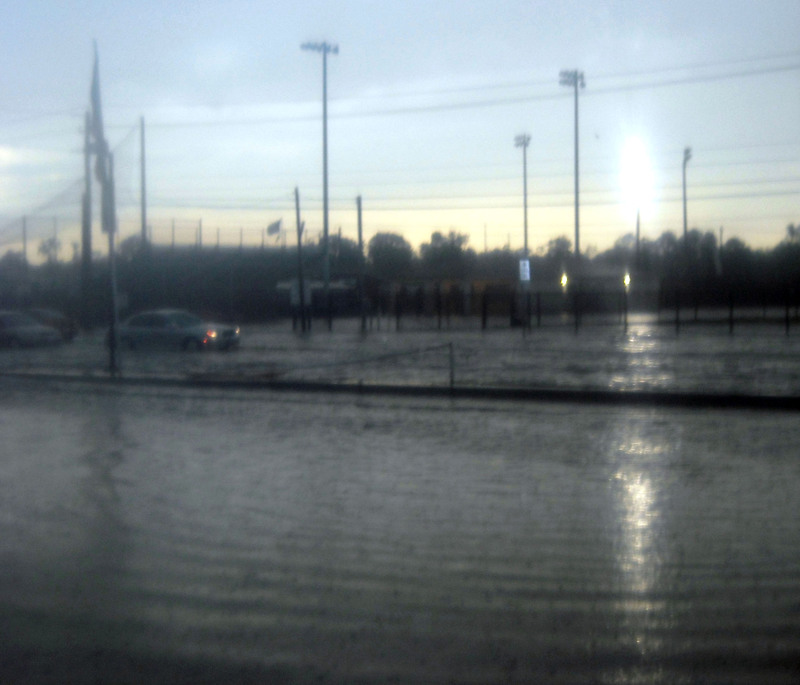 Some make it through and some end up with flooded cars. My rationale mind knows that my street should not be devoid of lights yet after about 10 minutes in the darkness I grew accustomed to it and soon forgot about the lights that would normally be blazing bright around me. 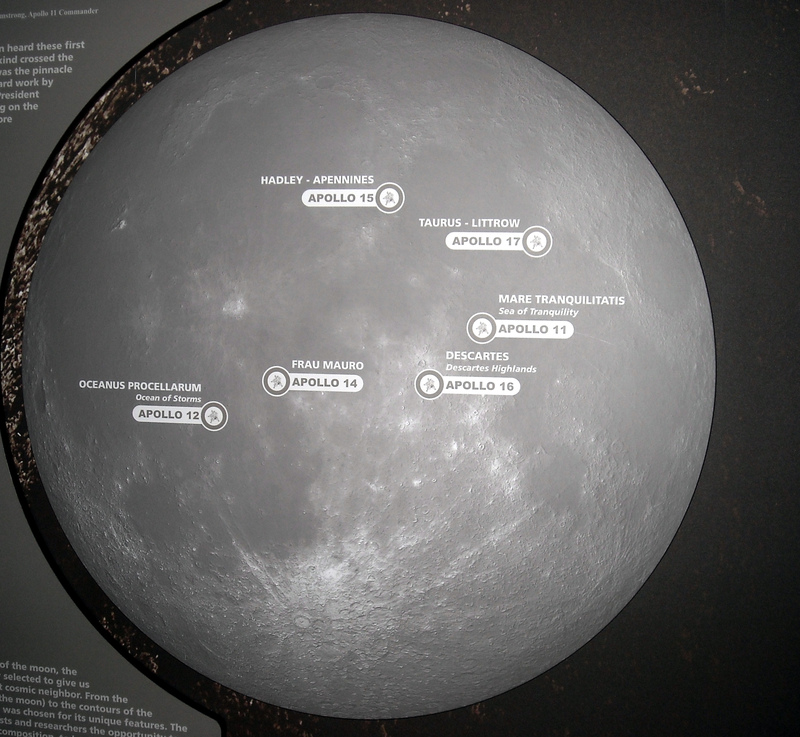 When I was younger and would visit my grandmother’s house in south Georgia it got dark on moonless nights. I mean real dark. We are talking about the kind of dark that even the dark is afraid of. With only a single outside light on it was pitch black as far as the eye could see. And the darkness was filled with many sounds that kept younger me up at night since they were sounds that I did not hear back home on my brightly lit street in the suburbs. As I was sitting in the car in the dark I thought back to those darkened nights and the things that went bump in the night and suddenly they didn’t seem as scary. I guess that is what a couple of decades of experiencing things will do for a person. After about 90 minutes in the dark power was restored to my street and I was able to go back inside to finish watching the race and enjoy all of the comforts that go along with an on the power grid life. My trip to a powerless time was complete but in some ways I missed the darkness and the natural splendor of a world free from artificial illumination. That is not to say that I am going to call the power company and tell them to shut off my power so that I can live as many of the Amish do. 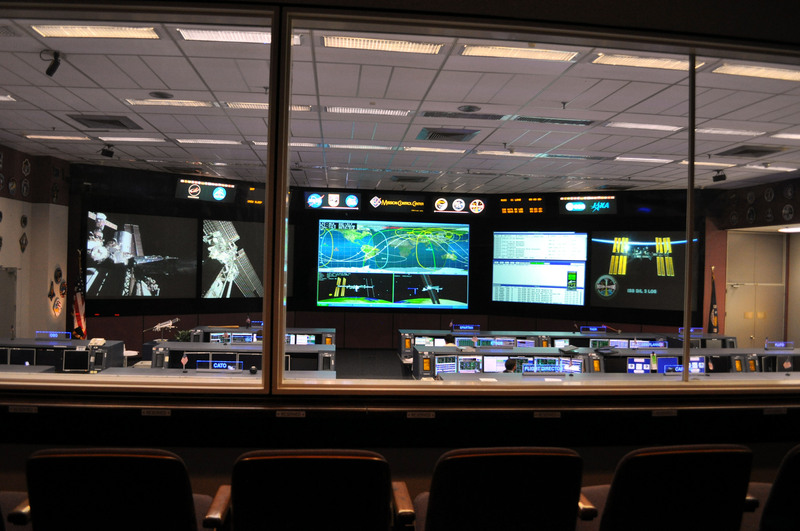 But I think it will hopefully have me take time to venture out into the country more to see the stars and other elements of the night sky without the blight of artificial lights. Now if you’ll excuse me I think it is time to take advantage of some of that power and catch up with the Doctor and Clara. Let me start off by saying that I like pizza a lot. I like round pizza and I like square pizza. I like pizza where the crust is thick and I like pizza where the crust is thin. I like pizza when it comes in a pan and I like pizza when it is made by a guy named Stan. I also like sports, and for some reason sports just taste better when paired with pizza. I am not sure what it is that makes pizza taste even better when sports are on. I am sure that there are graduate students seeking grants somewhere in the world to solve that very mystery. The simple answer very well might be that it just does taste better and there is no other deeper meaning than that. 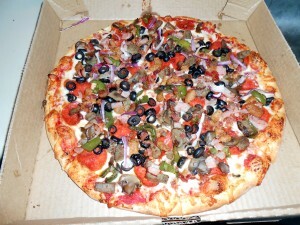 A local New York style pizzeria’s famous Legend before it is consumed. Most historians peg the arrival of the first pizza around 1000 A.D. Around 500 years after that tomatoes and mozzarella hit the scene and the traditional basis of the pizza pie takes shape. For the first Italian pizzeria one looks to Naples in 1830. The first pizzeria on this side of the Atlantic opened in New York in 1905 and the rest as they say is history. Of course, sports predate pizza. And while I was unable to dig up when the first pizza was consumed while watching sports few could argue that it is hard to picture the two without each other now. Watch any major sporting event and one is bound to be bombarded by advertisements from the various pizza chains peddling their latest inventions. Some of the refinements to the basic design are good and some make me wonder where the ideas come from. I mean do we really need pizza that also doubles as cheese stuffed bread sticks wrapped in dough with flavor crystals? I really wonder where all of this building a better pizza will end. Personally I have found it funny that many of the foods associated with spectator sports are “carb bombs” and sodium rich items that, while full of flavor, are certainly not the most healthy things to eat. That is certainly not to say that I think that only healthy foods should be consumed during sporting events but merely an observation that we as a culture appear to gravitate towards the carbs when watching athletes perform their trade in person and on television. And speaking of yummy carbs in pizza form there are certain traditions that I tend to adhere to when I am eating my pizza with a side of sports. 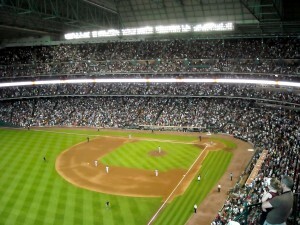 When it comes to Papa John’s Pizza I can only eat it when I am attending a game at Minute Maid Park. I cannot begin to explain why that is aside from thinking that when I am craving a pizza at the ballpark Papa John’s is the only option and when I am craving a pizza in the non-ballpark world there are so many better pizzas out there for me to have. It is also fun to get pizza at the Ballpark because I never know what shape the pizza will end up in. I do not know what they do behind the scenes to the crust before it goes in the oven but I have had some very odd shapes come out the other end. During my last trip to the Ballpark I swear the pizza looked like Jay Leno. I guess I should have kept it instead of eating it and I could have a tourist attraction like all of those people with Elvis shaped potato chips. Thank you very much. Now, before I get letters from the Papa John Nation saying how dare I not like Papa John’s away from the Ballpark, let me say that the reason there are so many different types of pizza is because there are so many different ideas that people have regarding what makes good pizza. So, if you find Papa John’s to be the best pizza in the world, more power to you. 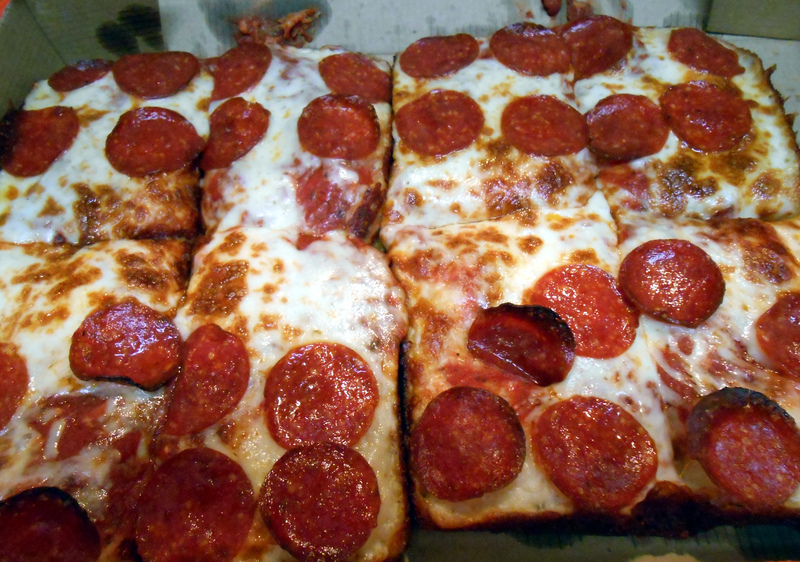 Before I get labeled a pizza elitist I should note that one of my favorite regular pizza and sports combinations involves Little Caesar’s Pizza which, despite being both economical and yummy, does not top most elite pizza lists. Little Caesar’s “Detroit style” Deep Deep Dish is devilishly delicious and pairs well with any sporting event. Despite the non-elite status, I absolutely love that I can walk into Little Caesar’s on a whim and walk out with a pizza or two in under five minutes. 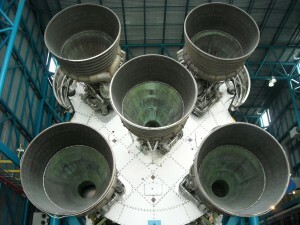 While I will not go so far as to say that represents the American dream, it does come pretty close. Again nothing against pizza delivery places or the other national chains but I like to control my pizza destiny and walk out with the pizza at a time of my own choosing and not rely on the whim of a delivery driver. Truth be told, for my truly authentic pizza experiences there are a couple of mom and pop shops that I will go to and actually sit down and enjoy the entire pizzeria experience. But, for our purposes today we are merely talking about when the pizza is combined with sports and what I believe to be the combination that works best for me. My usual go to selections at Little Caesar’s are the Three Meat Treat or Cheese pizzas. Recently though I tried a new variation on the Little Caesar’s menu with their Deep Dish pizza. Much like barbecue there are regions associated with pizza. New York has the thin crust and the foldable slices going for them and Chicago is known for the deep dish. The Little Caesar’s deep dish pizza is referred to as Detroit style which until recently I had no idea even existed. I was introduced to the Detroit style deep dish offering this past weekend and must say that this pizza lover was highly impressed with the cheese, crust, topping triangle of flavor that it produced. For the foreseeable future my televised weekend sporting ritual will most likely include the deep dish pizza. That is until another new selection grabs my attention. Now if you’ll excuse me I am off to get a pizza. I am sure that I can find a sporting event to pair it with once I get back. 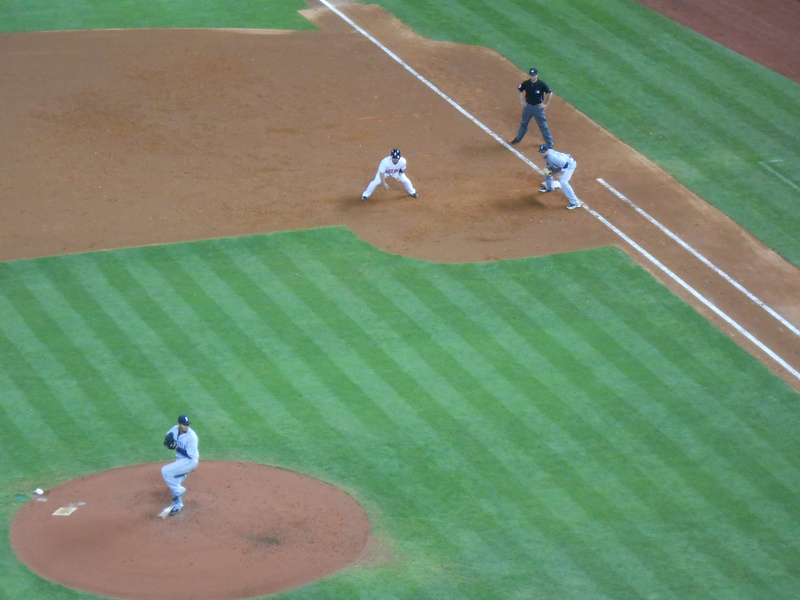 The other night at Minute Maid Park I witnessed a milestone take place as Seattle Mariners pitcher Felix Hernandez, also known as King Felix, recorded his 100th career victory en route to a 7-1 victory over the Houston Astros. 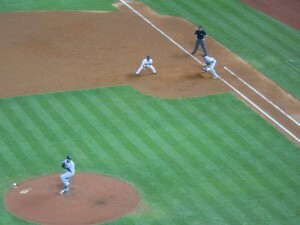 Felix Hernandez of the Seattle Mariners recorded his 100th career victory Monday at Minute Maid Park. So, milestones both good and bad that occur against the Astros should carry no special stigma to them and in every way should count in both personal and overall team statistics. And as we all know baseball is certainly a game that likes its statistics. So let us talk statistics for a moment and look at just how big of an accomplishment King Felix’s feat is. To put it into perspective there are only 31 active pitchers with at least 100 career wins. Consider that each of the 30 teams carries five starting pitchers on average and that basically means that only one out of every five pitchers in the Major Leagues has at least 100 wins. 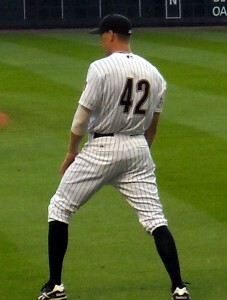 Andy Pettitte is the current active leader with 248 wins. 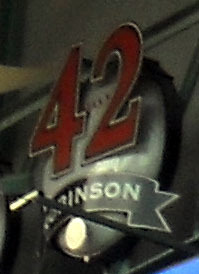 The all-time wins leader is Cy Young with 511 wins. In a sport where injuries can sideline even the most promising of pitchers it is truly a feat worth celebrating when a pitcher has the longevity to reach the century mark in victories. Baseball is best when played under the stars, unless it is 100 degrees out at which point a retractable roof is a must have. I would love to say that I had the foresight well in advance of the potential historic night to ensure that I was in the ballpark to witness it but my presence at the ballpark was definitely the result of a series of random events that were not at all under my control. The first factor that allowed me to be in the stadium to witness win 100 was of course the fact that Felix Hernandez’s spot in the pitching order just happened to coincide with the first game in Houston. It also didn’t hurt that he had lost a couple of starts earlier in the season to have him holding steady at 99 wins when he arrived in Houston. Another factor of chance and coincidence that fell into play to allow me to attend the game was a free ticket promotion kicked off by the Astros as a way to a) fill the stadium on a Monday night and b) try to save face during a public relations nightmare related to their new cable network and the fact that only 40 percent of their television territory can watch the games. 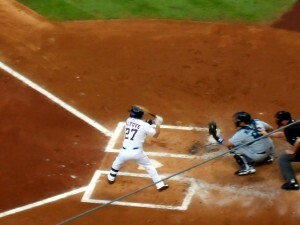 Jose Altuve swung the bat well but he and the rest of the Astros couldn’t solve King Felix as he fanned nine batters. With game day upon me I glanced at the pre-game notes as I always do when attending a game and that was where the pieces fell into place and I realized that not only was I going to see a really good pitcher but it was on a night that had the potential to be big. In my various years of watching baseball I had never really gotten to see any of the “elite” pitchers in the game during their prime. One of my biggest regrets was never getting to see Roger Clemens pitch in his prime. While the opinions are split down the middle on the Rocket today, few can argue that in his prime he was a force to be reckoned with and his seven Cy Young Awards can certainly give weight to the argument that he was one of the best. In addition to Roger Clemens, I would have also liked to have seen Nolan Ryan pitch in person but that was not in the cards for me either. 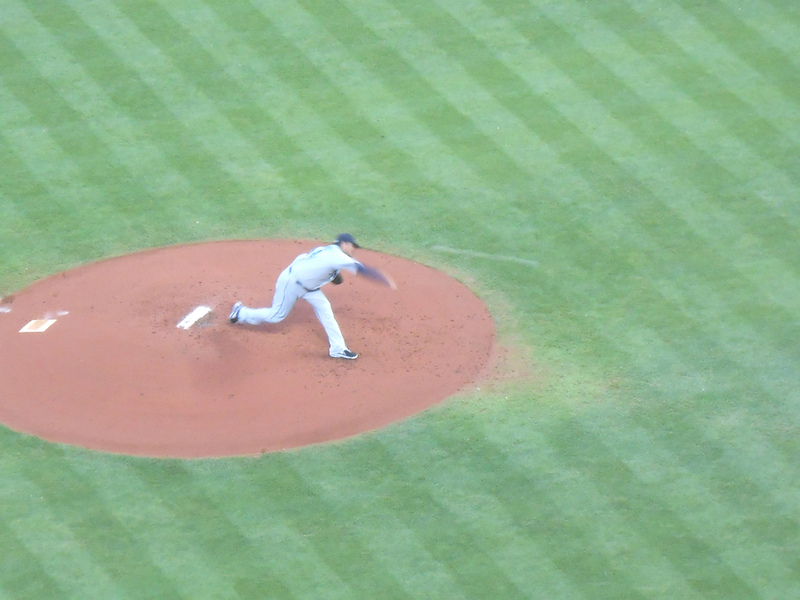 So getting to see Felix Hernandez pitch, after he threw a perfect game last season, was my first chance to see one of the “elite” pitchers up close and personal. I will admit that as I took my seat for the game thoughts of witnessing a no hitter or even a perfect game were going through my head. 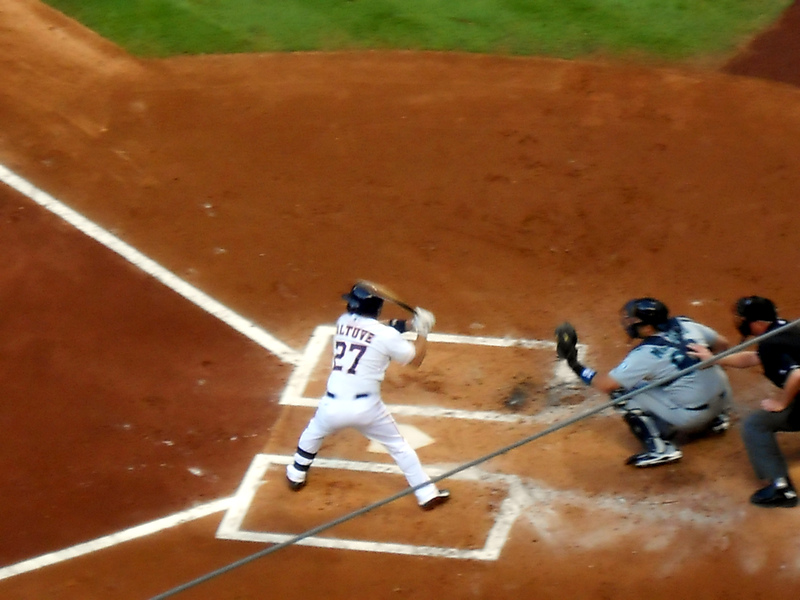 Of course, the no hitter and perfect game bids were quickly extinguished as Astro catcher Jason Castro hit a two out double in the bottom of the first inning. Baserunners for the Astros were few and far between as Felix Hernandez showed great control on the mound. So while my quest to witness a no hitter or perfect game will continue I can say that I was there for the 100th win of Felix Hernandez’s career. He could go on to have 200 more wins or he could never notch another win in his career. That is one of the great equalizers in the game. No one knows when the “elite” will fall back to earth either through injury or a variety of other means where that magic ability to make the ball dance across the plate and avoid contact with bats suddenly goes away and a pitcher once thought unhittable starts looking like a batting practice pitcher with players lined up to take them deep. 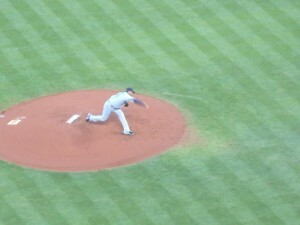 Next up on my “elite” pitcher bucket list is Justin Verlander of the Detroit Tigers. The Tigers will be in town in early May and there is little doubt that if Verlander is one of the pitchers scheduled during the three-game series I will once again be front and center to scratch another “elite” pitcher off of my bucket list. Now if you’ll excuse me all of this talk about royalty and kings has me tasting a Whopper for some reason. Odds are if you have spent any amount of time in a Major League Baseball Ballpark you have been exposed to “Stadium Rock” of one form or another. From the live organ playing during the golden age of baseball, to the clap, clap stomp of “We will rock you” fans have been exposed to music that helps paint the atmosphere and heighten the fan experience for almost as long as there has been a fan experience. While music is used throughout the game, perhaps no other time allows the music to shine quite like the middle of the seventh inning. Also, if the game is being played on a Sunday most Ballparks will feature the playing of “God Bless America” in the eighth inning as well. The Boston Red Sox invaded Minute Maid Park for a three-game series back in 2011 and the visiting fans were treated to a little Neil Diamond music to feel right at home. While some seventh and eighth inning songs are universal, there are some local varieties that while known in the home ballparks may not be as well known to the wider audience. One such local tradition recently gained a wider audience following the Boston Marathon attack when teams across the country played a certain bit of Boston Red Sox tradition in their own stadiums as a show of support and solidarity. The New York Yankees, bitter division rival of the Red Sox, were the first team to offer a melodic show of solidarity for the people of Boston and many other teams soon followed. This bit of Fenway flavor that went wicked viral was of course the Neil Diamond classic, “Sweet Caroline” which has been a ballpark staple for the Red Sox Nation for years. While I will admit to occasionally rocking out to Neil Diamond in the privacy of the Triple B Gigaplex (I mean seriously, who hasn’t? 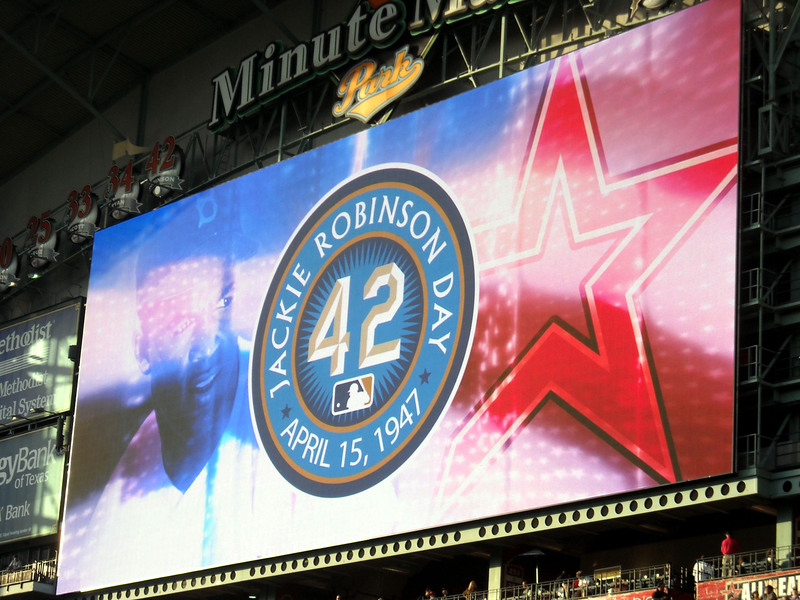 ), I can honestly say that the idea of rocking out to his songs in a ballpark never occurred to me until I attended a Houston Astros game a few years back when they were hosting the Red Sox. I can’t remember at which point in the game the song rolled out but I remember thinking it was odd that the song was being played during a baseball game. My confusion was soon answered when I overheard a Sox fan behind me explaining that it was a Fenway tradition. Based on the reaction from the people with the letter B on their heads they thought that it was cool that they were playing it in Texas. Despite the explanation I still found it odd that the visiting team’s rally song was being played by the Astros. 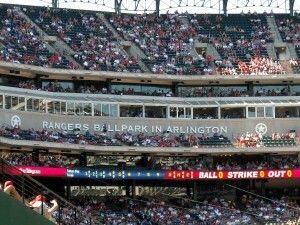 Rangers fans at the Ballpark in Arlington welcome the seventh inning with the arrival of Cotton-Eyed Joe. To be clear, I think that the current show of support by other teams playing the song is perfectly acceptable as long as it is done for a finite length of time. What is not acceptable is if the song continues to be played for the foreseeable future every time the Red Sox are in town. Even the most heartfelt of tributes can overstay its welcome. I mean, nothing against Neil Diamond, but “Sweet Caroline” does not belong in other ballparks regardless of how sing along worthy it is. Like Bill Murray said in the cinematic classic “What About Bob?”, there are two types of people in this world, those who like Neil Diamond, and those who don’t. Another reason why the spread of “Sweet Caroline” needs to be nipped in the bud is that many teams already have traditional songs of their own that are worth preserving. 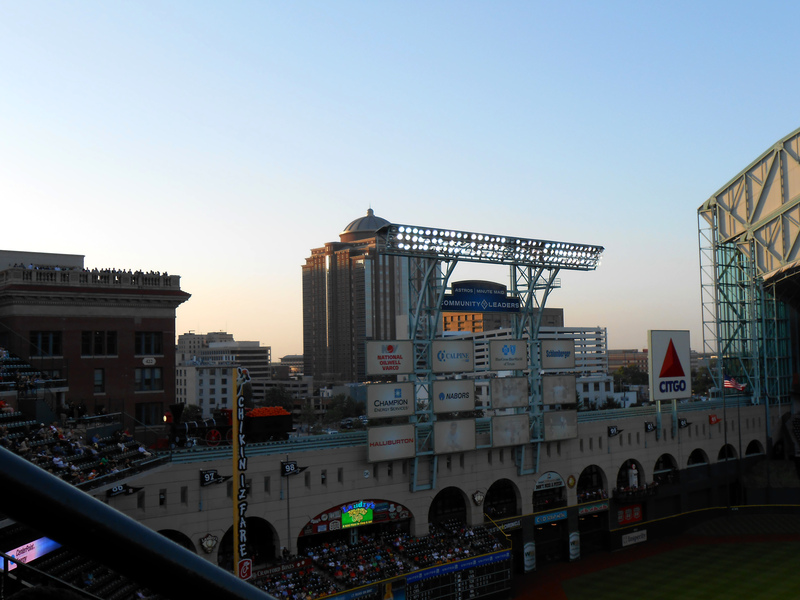 In Houston the stars really are big and bright as the seventh inning stretch includes the state pride evoking staple “Deep in the Heart of Texas” following “Take Me Out to the Ballgame.” The song even travels with the team to Florida for Spring Training. Although, standing and clapping along to “Deep in the Heart of Texas” while deep in the heart of Florida does tend to mess with one’s head. For over 30 years the Oriole Bird has been thankful to be a country boy, err bird and has been dugout dancing during the seventh inning with one lucky fan. For over 30 years the Baltimore Orioles’ seventh inning stretch has included John Denver’s “Thank God I’m a Country Boy” complete with a top of the dugout dance between the Oriole mascot and one lucky fan. 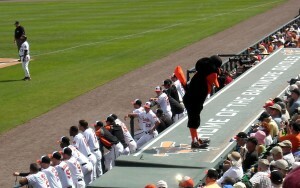 And this tradition also travels to the Spring Training Stadium in Sarasota. 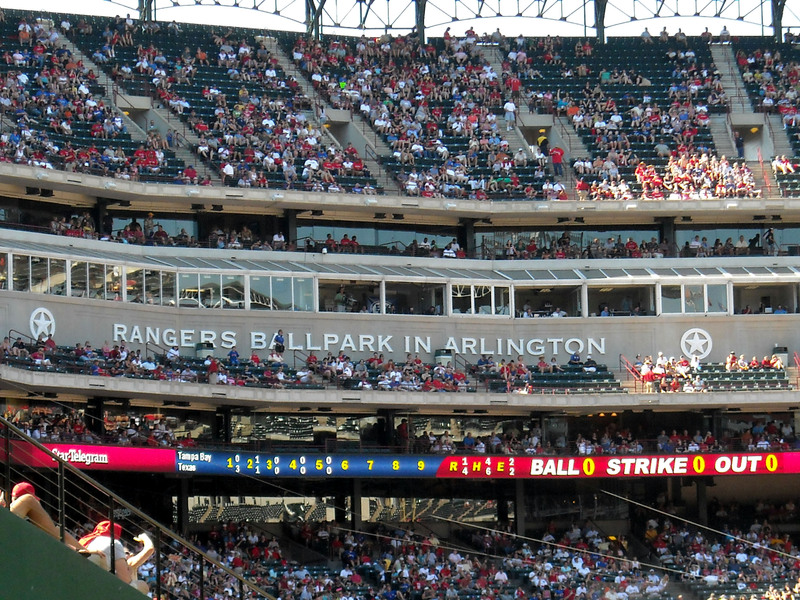 And although Texas is a large state, apparently only one team can be deep in the heart of it as the Texas Rangers, who were the second team to come to Texas, have “Cotton-Eyed Joe” as their seventh inning stretch song. The list goes on and on regarding teams and their signature songs in the ballpark. From the Cincinnati Reds encouraging fans to “Twist and Shout” along with the Beatles, to the Los Angeles Angels of Anaheim playing “Build Me up Buttercup,” each team has put their own unique stamp on the seventh inning. Perhaps the oddest seventh inning stretch song I found in my research was the choice of the Washington Nationals. Starting in the 2012 season, the Nationals embraced the A-ha classic “Take on Me” as their seventh inning jam. For those old enough to remember when MTV played music videos, “Take on Me” was the really trippy video that was half newspaper comic and half real life. At the time it was released it represented the cutting edge of video technology but I am sure it shows a little bit of its age when viewed now. Of course, it is out on You Tube if one really wants to get their A-ha on. So there you have it, a selection of songs to listen for as you travel the Major League Baseball stadium trail for both the Neil Diamond lover and the Neil Diamond hater. Now if you’ll excuse I think it is time to fill the Triple B Gigaplex with some tunes. Where did I put that Neil Diamond CD? The other day I attended a funeral and a hockey game broke out. 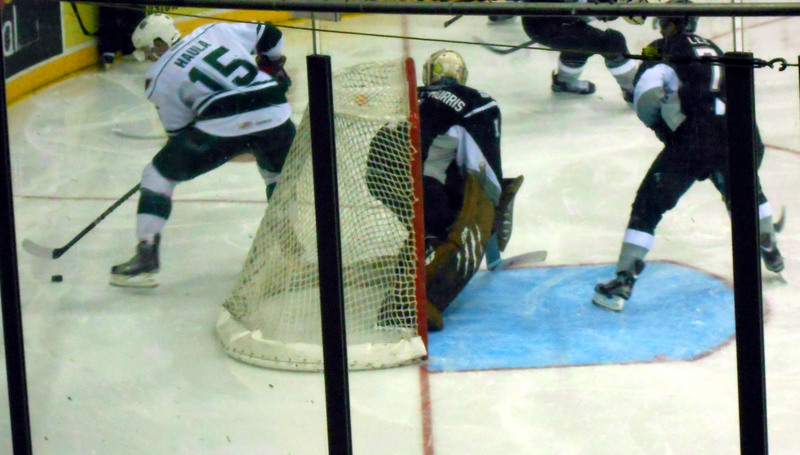 Okay, to be fair it was a hockey game all along but the funeral feel came from the knowledge that it was the last home game of the season for the Houston Aeros who by most accounts will be leaving for Des Moines, Iowa upon the completion of the current season. While sports franchises move for myriad reasons the Aeros are not moving by choice. The last opening puck drop in Houston? 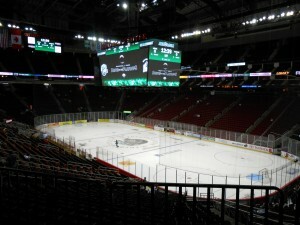 After calling Houston home since the mid ninties, their lease is not being renewed at their home arena. Comparable in town venues were looked at but no suitable site could be located. So, short of a last minute reprieve the pucks and the trucks filled with the rest of the equipment are heading north once the season is over and the era of minor league hockey in Houston will come to an end..
Of course with the Aeros out of the way it leaves certain parties free to pursue a National Hockey League team to replace the minor league Aeros. There are many factors that would need to fall into place for that to occur but step one to kick out the current tenet appears well underway. This is certainly not the first time that Houston has dealt with a sports franchise leaving. The Houston Oilers relocated to Tennessee following the 1996 season. And after a season as the strangely named Tennessee Oilers they became the Titans. 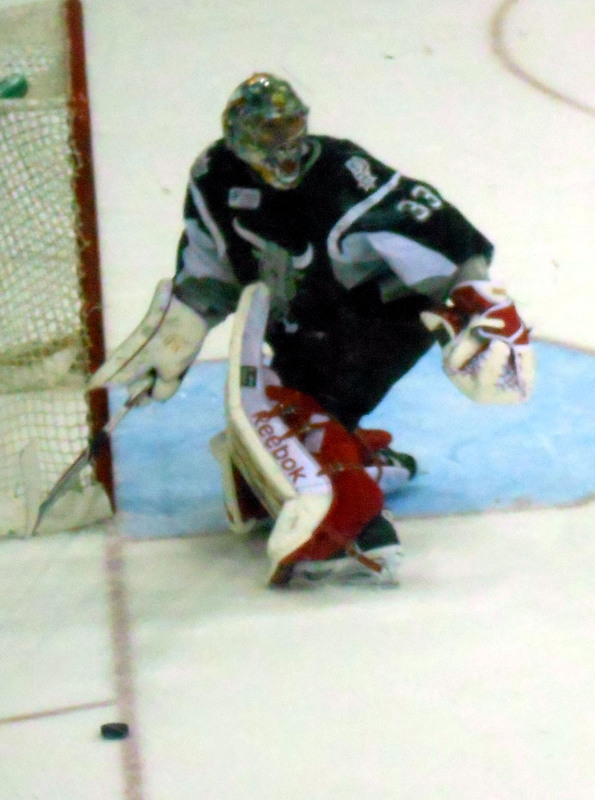 The Aeros kept pressure on San Antonio throughout the last home game of the 2013 season. Nearly a decade later, and despite getting the expansion team Houston Texans, there are still people angered by the loss of the Oilers. This anger is even more easy to spot when the Titans come to town to play the Texans. I had a similar experience as a youngster in Maryland when on March 28, 1984 the owner of the Baltimore Colts packed up the team and shipped them to Indianapolis in the middle of the night. And much like the case in Houston, Baltimore eventually was awarded another team but the betrayal of the midnight run is still felt nearly 30 years later. The largest crowd in the history of the Aeros was on hand to send them off. I thought that this was fitting since unlike the examples of the Oilers and the Colts the team was not quitting on the city. The fans cheered each goal loudly and seemed to soak in every moment. I attend around three hockey games a year on average so relatively speaking the loss of the Aeros will not put a huge void in my sports calendar but it will be felt nonetheless. There was an excitement and an electricity that I felt when I attended the games and while there are certainly those fans who attend for the fights I also found poetry on the ice as people did things on skates that few of us less snow bound state dwellers can dream of. Cross state rivels Houston and San Antonio line up against each other for the last time in Houston. Unlike other sports that I watch such as baseball and basketball I never played hockey. In fact, every time I even tried to ice skate it usually ended up with me brushing ice off of the bottom of my pants since I struggled to stay upright. I did play soccer though and I have long thought that hockey is basically soccer on ice. While there are certain differences between the two sports by and large one can draw many similarities between the two if they think about it. Plus, hockey occurs in air-conditioned comfort and there is the entertainment of watching the Zamboni go around in circles. 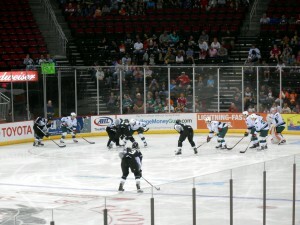 If a NHL team does come to Houston, I will still probably go to about as many games as I did for the Aeros. I do not foresee myself becoming a season ticket holder but I can feel the pain of the season ticket holders who had followed the Aeros for many years. There were many signs of support held up inside the arena and various fans were overheard talking about the finality of it all. For them the loss of the team runs deeper than for a casual fan like me. 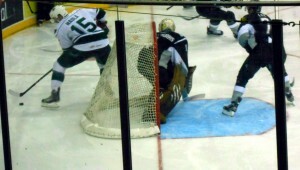 The Aeros finished with over 40 shots on goal. During every stoppage of play the promotions department used the t-shirt cannons to get rid of the excess inventory of shirts. While it was certainly a nice gesture it was also practical. When the moving vans take the team north there will be little need for items marked Houston. The pending relocation while still not 100 percent fully confirmed reminded me of a famous episode of the Simpsons. In the episode Homer learns of a plan for the Springfield Isotopes minor league baseball team to relocate to Albuquerque, New Mexico. No one believes Homer at first and the typical hijinks ensue until the concession stand full of foods made up of “delicious southwestern ingredients” gives them away and the town folk apologize for not believing Homer. As a side note, in response to that episode a team did in fact move to Albuquerque New Mexico and became the Isotopes. Sometimes art really does imitate life. The ice will soon be covered and the wait will begin in Houston’s bid for a National Hockey League team. While the last Aeros game in Houston felt like a funeral at times it did end in a win for the home team who kept their playoff chances alive. It also ended with the players lingering on the ice just a bit longer than usual to thank the fans and of course to throw out some more promotional items. The lingering of the players on the ice also gave the fans a chance to thank the players with a rousing standing ovation. 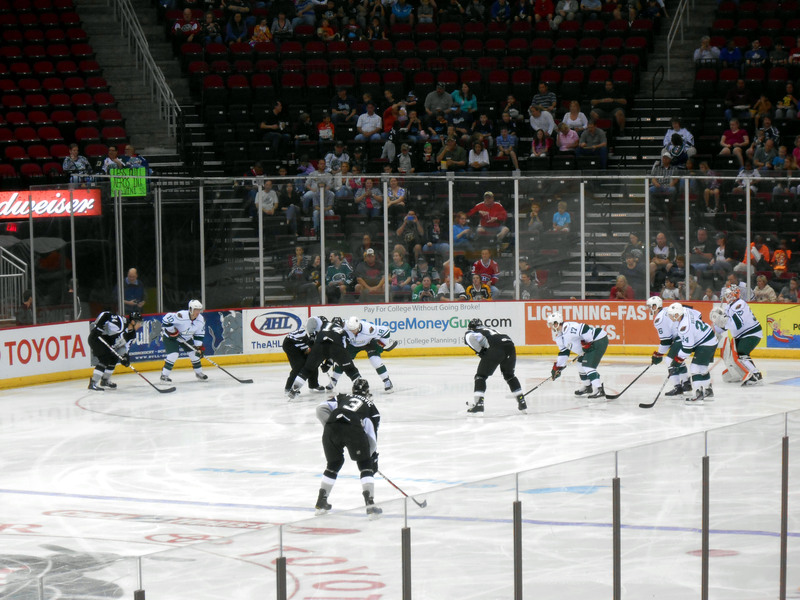 As with most minor league teams, many of the players will never make it to the rinks in the NHL but they are local favorites nonetheless and just as big in the fan’s eyes as some of those big name NHL stars. I think I may have even seen some tears shed when all was said and done but then again that could have just been from the cold temperatures coming up from the ice. 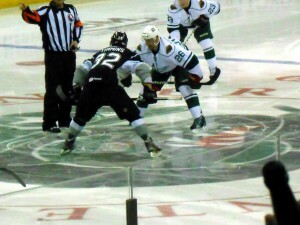 Here’s to continued success for the Aeros players for the rest of their run to the playoffs. It was certainly fun while it lasted. Now if you’ll excuse me, I need to go see if I can get a Zamboni ride before it gets shipped up to Iowa. As I have previously noted the beaches around Pensacola, FL are some of my favorite places to go when I need to get a sand and surf fix. With miles of sugar sand and clear water there really is not a better place to recharge one’s batteries and escape the hustle and bustle of everyday life. Oil from a 2010 natural disaster was recently discovered along the Gulf of Mexico showing that the clean-up is far from over. That pristine getaway was placed in the cross hairs of a natural disaster in 2010 when the Deepwater Horizon incident occurred. For those unfamiliar with it, the Deepwater Horizon was an oil platform that had a major malfunction which lead to oil spilling freely into the Gulf of Mexico. The well was eventually capped and the flow of oil was stopped but not before beaches from Florida to Texas felt the effects. For weeks after the spill crews scoured the areas most impacted and performed remediation efforts to help affected wildlife and land. 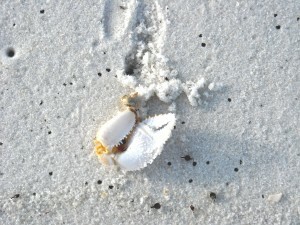 In Florida countless man hours were spent ensuring that those beaches remained pristine and oil free. 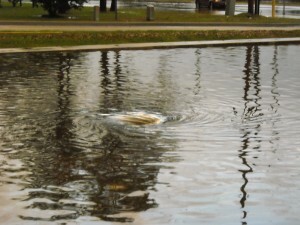 When oil was spotted it was quickly removed. All seemed to be in the clear but recent activities have shown that there is still work to be done below the surface to ensure that the entire Gulf of Mexico recovers from the spill. 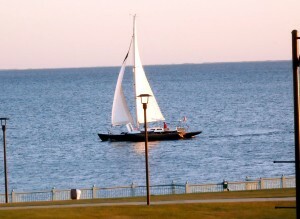 The Gulf is a popular recreational and commercial fishing area. 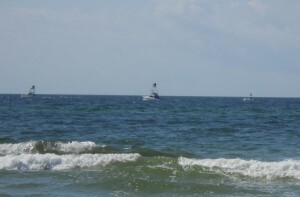 Fish populations will continue to be monitored for affects from a 2010 oil spill. 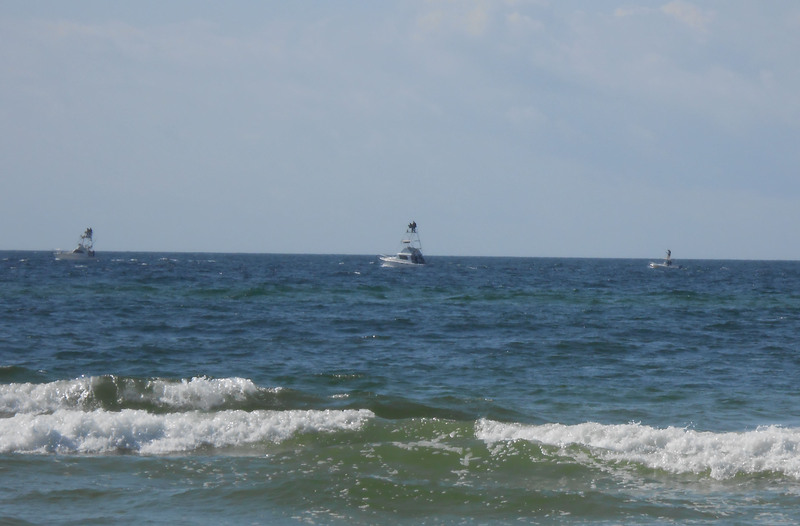 According to the Pensacola News Journal, about 450 pounds of weathered oil was mined from the surf zone on Pensacola Beach during a recent10-day excavation project. 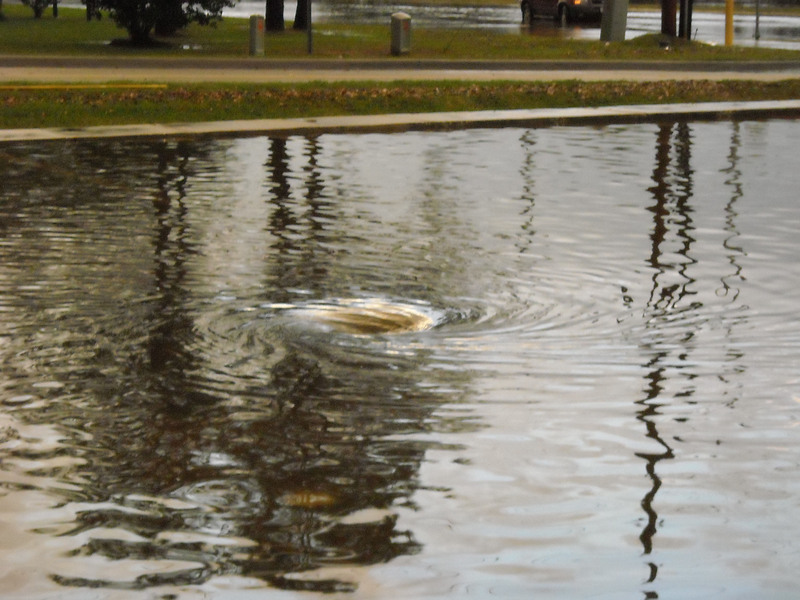 Many locals had long thought that there was still oil in the water and now those fears appear to be warranted. The pockets of hidden oil show that the problem goes far beyond just surface impacts due to the absorbent nature of sand. Other projects have shown effects on wildlife in the oil zone to also be worse than originally thought. Various levels of the food chain will continue to be monitored to see what impacts are being felt. Sadly, it will most likely be decades before the full impact is known. Few would argue that oil is an important part of life and is needed for everything from transportation to power generation. But, when things do go wrong in the drilling for oil and entire ecosystems are but at risk it becomes time to look at all sides of the argument and ensure that impacts are minimized and the oil is removed in the safest way possible. Crabs are just one of the many elements of the food chain that stands to be affected from the 2010 oil spill along the Gulf of Mexico. I certainly don’t want to paint the picture that the beaches are just one big oil sponge. 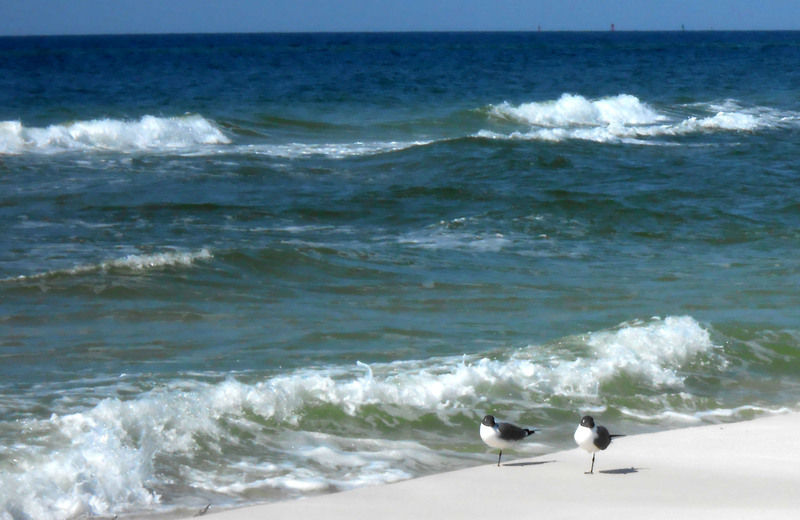 I have been to the beaches of Pensacola several times since the spill occurred and to the naked eye life does appear to have returned to normal with the sand and water still as clean as I recall. And when I dig in the sand it is not like I become Jed Clampett with bubbling crude coming out of the ground. What I am saying is that the diligence needs to continue to ensure that as much of the hidden oil as possible is removed. 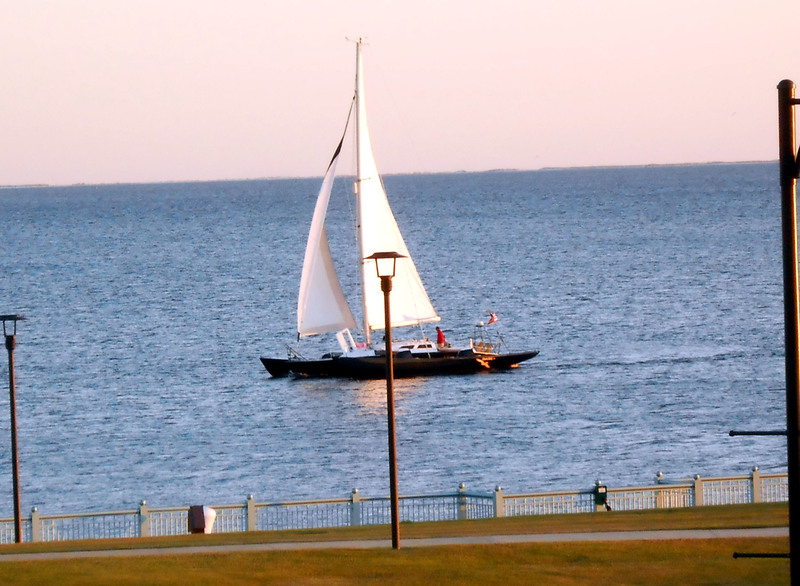 Generations of people have counted on the Gulf of Mexico for food and relaxation. And with the right steps now it should be available for generations to come. There is certainly more to life than a stroll on the beach. But everybody deserves the option to stroll on that beach and to stroll oil free when the time to stroll does come. Now if you’ll excuse me, all of this talk about oil reminds me that I need to go change the oil in my car. 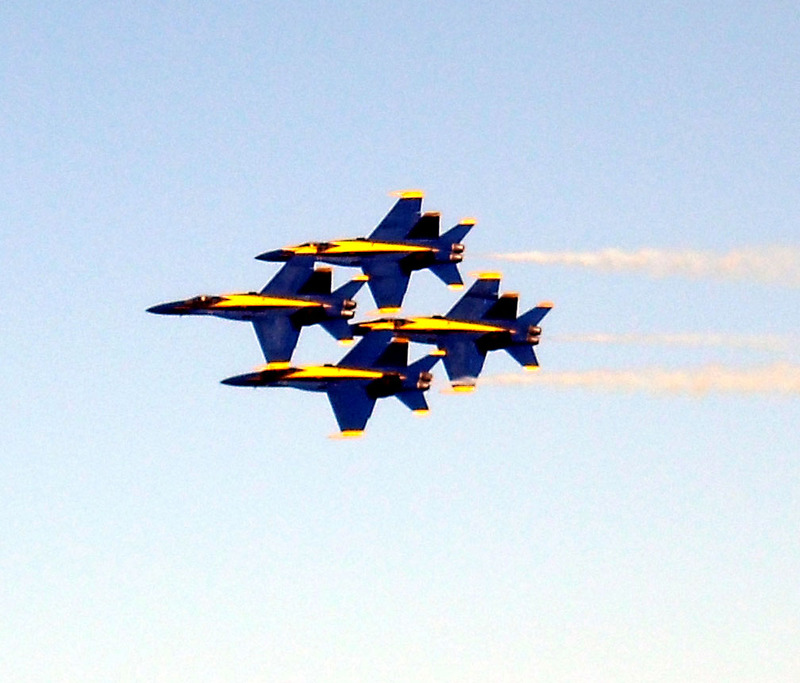 Yesterday it was announced that the Blue Angels Flight Demonstration Team had become the latest casualty of the budget cuts resulting from the sequestration. 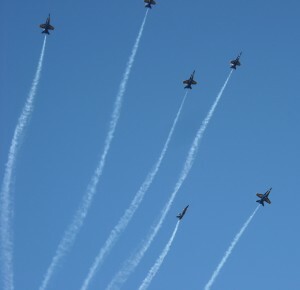 Several Blue Angels shows and public practices had already been cancelled, so the decision to cancel the remaining schedule for the 2013 performance year did not come completely out of the blue. The federal fiscal year ends in September and it was originally thought that the Blue Angels would return to the sky at that time but that seems unlikely with the time needed to prepare for shows. 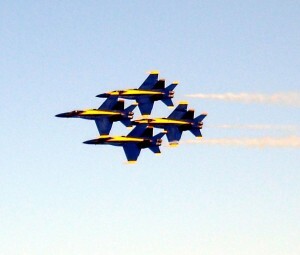 The Blue Angels perform during the Wings Over Houston Airshow. It should be noted that the U.S. Air Force Thunderbirds have also had their season cancelled as part of the sequestration. 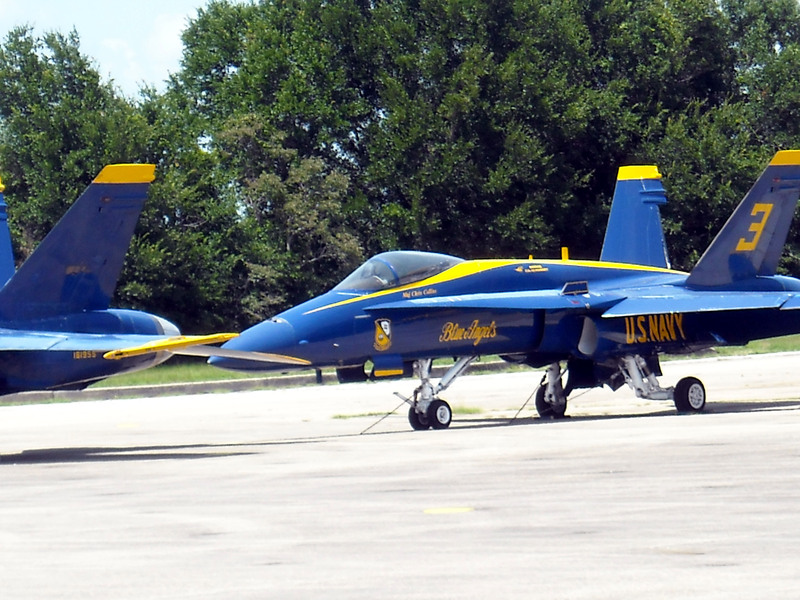 While the grounding of the Thunderbirds is equally bad, as the grandson of a Pearl Harbor Navy veteran, I do tend to lean a little more towards the Navy’s Blue Angels grounding being more of a loss. I have been fortunate enough to see the Blue Angels perform on several occasions and have also been to their home base at NAS Pensacola a few times. 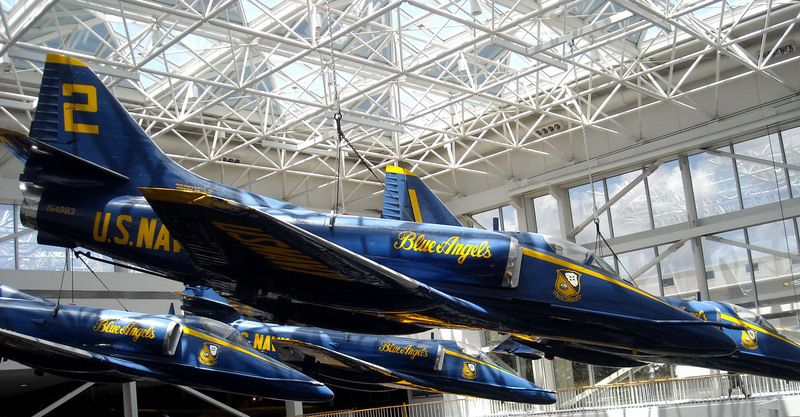 As anyone who has stopped at the Interstate 10 Florida Welcome Center knows there is also a Blue Angel jet display to welcome travelers to the birthplace of Naval aviation. So the Blue Angels are kind of a big deal in the Sunshine State as well as throughout the country. 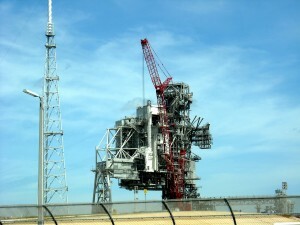 Each time I see them take to the skies it is as impressive as the first time. There is something to be said for the skill that it takes to harness that much power from a fighter jet and make it do things that it normally would not do. Add to the mix the degree of difficulty of having another plane inches off of your wing tip and it becomes even more impressive. The Blue Angels perform a Diamond formation during the Wings Over Houston Air Show. Of course, fans of air shows are far from the only people feeling the budget pinch. The National Park Service also has to make due with less funding. During my recent road trip I spent time at Fort Pickens National Park outside of Pensacola, FL. As the name would suggest there is a fort at Fort Pickens National Park. What the name fails to imply is that the fort and related batteries and bunkers are surrounded by miles of pristine beaches. Whenever I am in that area of Florida I always try to spend a few hours at the shoreline. While the beach was still sugary white, the water was still deep blue, and the scallops and periwinkles were still plentiful I couldn’t help but notice that there was a little more trash on the beach than usual. A trip to the restroom also revealed a lack of paper towels. It turned out that the trash cleanup and maintenance that was previously being done daily was now occurring less frequently due to lack of resources and manpower related to the sequestration. The U.S. Air Force Thunderbirds are grounded due to budget cuts. While I only saw the effects at a single National Park I am sure that is the case across the country throughout the National Parks System. I do not want to give the impression that there were mounds of trash or other unsightliness at the beach. It was just noticeable that certain items were not being handled in the same manner that I had grown used to seeing. The Park Service has a long history of making due with limited resources and I am sure the thousands of Park Rangers and volunteers will continue to do an excellent job of educating visitors and preserving the Nation’s treasures even during these tough economic times. The Blue Angels will be staying grounded at Pensacola Navel Air Station for the remainder of the year. 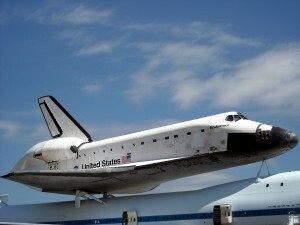 While I agree that items such as performing at air shows and daily trash pickup at National Parks do not have the same priority as ensuring that there are enough police on the street, it is hard to fathom how they would face such deep cutbacks leading into the busiest times of the year for both. 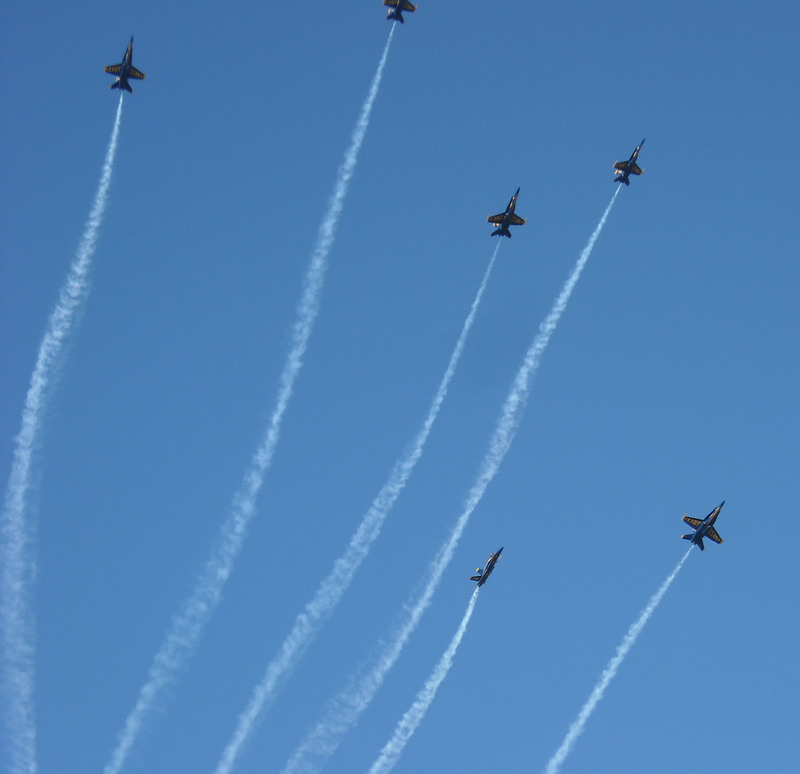 The Thunderbirds and Blue Angels are each used as promotion tools for their respective branches of the armed forces and the peak of the air show season is the spring and summer months. While very few people who see a flight demonstration will grow up to fly those planes, they may still have their interest sparked in a way that leads them to other areas of the armed forces in support of their country. 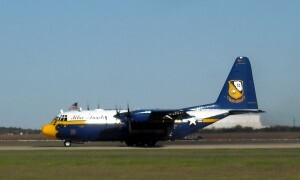 Like the F-18 Hornets, Fat Albert, the Blue Angels’ logistics plane is also grounded due to budget cuts. The same is true for the National Parks. Generations of people have made visiting the National Parks part of family traditions with most of those trips occurring in the summer when school is out. Now I am not saying that overflowing trash cans will make people less likely to visit the parks this year and in the future, but, I struggle to see how the parks and monuments could be allowed to be in those positions simply because Congress could not agree on overall spending levels. When the sequestration was first proposed it was meant to be such a poison pill that no rational member of Congress would allow it to pass. For the rest of the year the rotunda at the Navy Aviation Museum in Pensacola, FL. 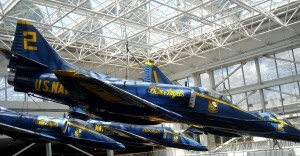 is the only place to see the Blue Angels. Unfortunately it appears that the rational people were off that day allowing the cuts that no one dreamed could ever become reality to take place. The National Parks and the flight demonstration teams of the Navy and Air Force will certainly rise again allowing future generations to continue to enjoy them and realize what a National Treasure they truly are. They just have to find a way to muddle through the rest of the fiscal year first. Now if you’ll excuse me, I need to go see if Pensacola Wings of Gold has been released on DVD yet. This past weekend I took my first baseball road trip of the 2013 season to book end the opening week of the baseball season. 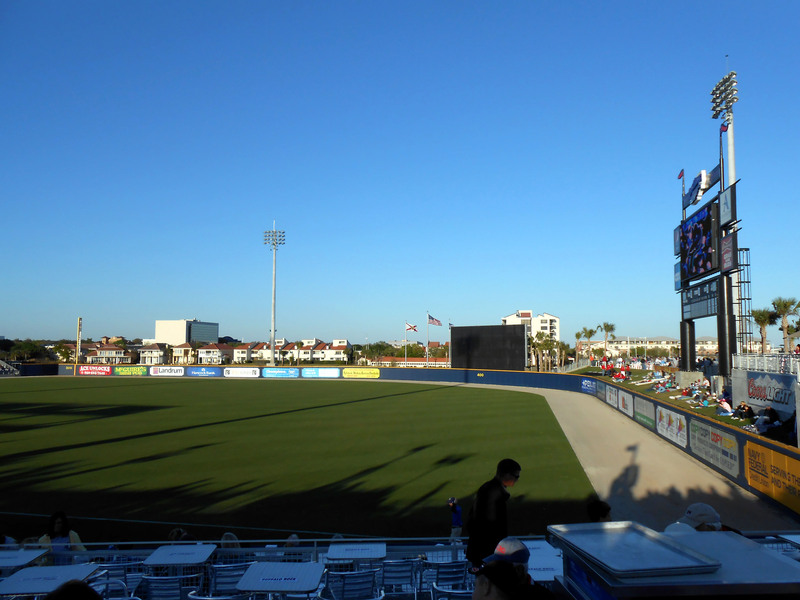 After starting the week at the home opener for the Houston Astros, the week was rounded out with a trip to Bayfront Stadium in Pensacola, FL for a Southern League game between the home standing Blue Wahoos and the visiting Tennessee Smokies. 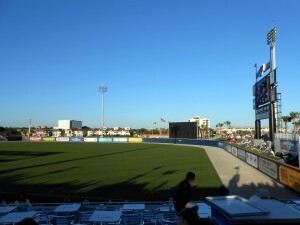 Prior to moving to Texas, the bulk of my non Spring Training in person baseball watching was through Southern League games at Tinker Field in Orlando FL. Despite moving about 800 miles away from the borders of the Southern League, to this day I still try to catch Southern League games whenever I can. It was clear skies at game time but as the flags indicate there was a stiff wind blowing. I am sure this is partially due to history and familiarity with the league and the various teams but a lot of it is also based on the fact that there is some good baseball being played on the farm teams of the Southern League. Such was the case on this colder than normal April night at the stadium on the bay. More on the game in a bit but I feel it is important to stop and mention the weather at game time and throughout the festivities. Anyone who knows me well, most likely knows the following two things about me. 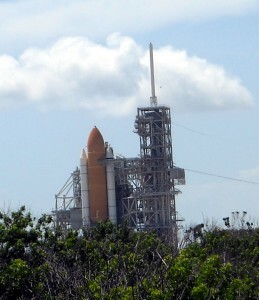 First, I check the weather constantly before a trip to make sure that I am properly prepared for the conditions. Second, it takes in awful lot for me to be cold. I am the type who has a fan going year round and I have not turned the heater on in my house in over 8 years. More ballparks should be waterfront ballparks to allow for scenery like this. So after checking the forecast before heading to the game, I was fairly satisfied with my no jacket required assessment. Unfortunately while the temperature was within a good short sleeve window, in my haste to make it to the game after a nine-hour drive to the ballpark I forgot to account for the wind chill and feels like factor. To say it was cold with the wind coming in off the bay would be an understatement. How cold did it feel? It felt cold enough that I was seriously considering buying a $100 jacket in the gift shop or at the very least a $60 sweatshirt to try to stay warm. How a jacket and sweatshirt can cost that much is certainly another story for another day. At least I was not alone in my frigid feelings. Apparently the guy sitting to my right had also made the same error in judgment as we were the only two people in the ballpark wearing short sleeves. As the innings wore on we became very close as we tried to block the wind and stay warm. Not a word was spoken but a knowing nod was all that was required to show that the contest was one to see who could last the longest. He ended up leaving in the bottom of the sixth inning which meant I just had to make it to the seventh inning stretch to get the victory in the two cold guys challenge. Yes, boys and girls this is what men do, we turn everything into a contest. So I made it an extra half inning and then packed up my bobble head, souvenir cup and other assorted stadium items and walked the 10 blocks back to the car. Although the game was a very lopsided affair and included a Man versus Wild like survival challenge in the stands, there were several items of note that occurred. It was Billy Hamilton bobble head giveaway night. For those who are unfamiliar with Billy Hamilton he set the single season stolen base record with 146 last season. 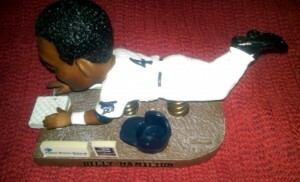 Billy Hamilton stole a record number of bases last season and became immortalized as a bobble head this season. I met Billy last season when he was about four steals away from the record and although he has moved on to the Triple-A affiliate of the Reds it was nice to be there for the bobble head night and close the circle as it were. I have little doubt that after one more season of seasoning in the Minors Billy Hamilton will make the Reds roster and show his speed in front of the larger audience. I have always enjoyed the art of the stolen base. Major League Baseball’s all-time stolen base leader Rickey Henderson was always a favorite players of mine. When everyone in the stands knows that you are going to try to steal the base and you still manage to do it, that is some serious talent and is something to be respected. Billy Hamilton has a very good chance to be a Rickey Henderson like player and set the base paths on fire. And when he does, I will be one of the people who gets to say I knew him when. While Billy Hamilton was not in attendance for his bobble head night there was another player who was certainly worth paying attention to. 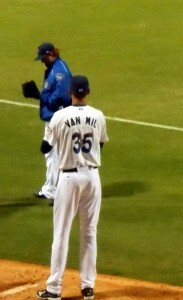 At 7’1″, Ludovicus Jacobus Maria Van Mil of the Pensacola Blue Wahoos is the tallest pitcher in baseball. 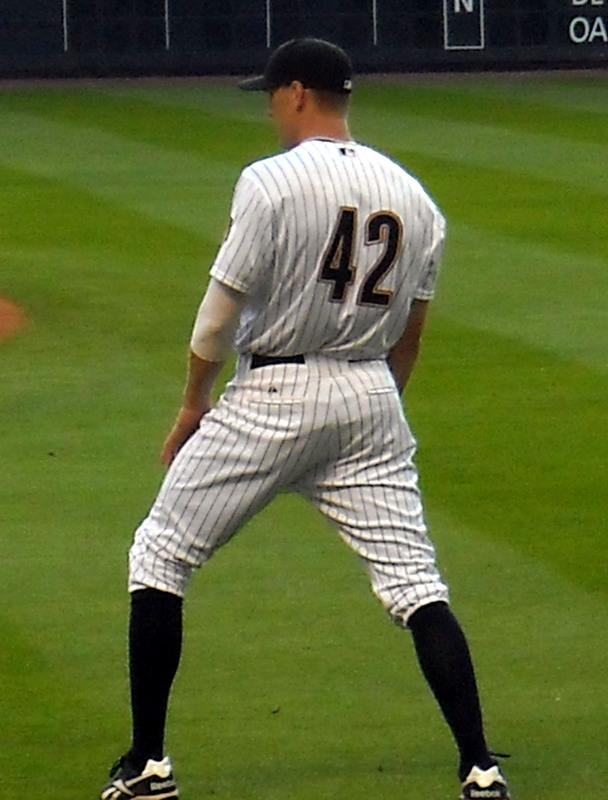 Ludovicus Jacobus Maria Van Mil, or the more sportswriter friendly Loek Van Mil, is the tallest pitcher in Professional Baseball topping out at 7’1”. During his warm-up pitches it became very clear that he was a very tall man. 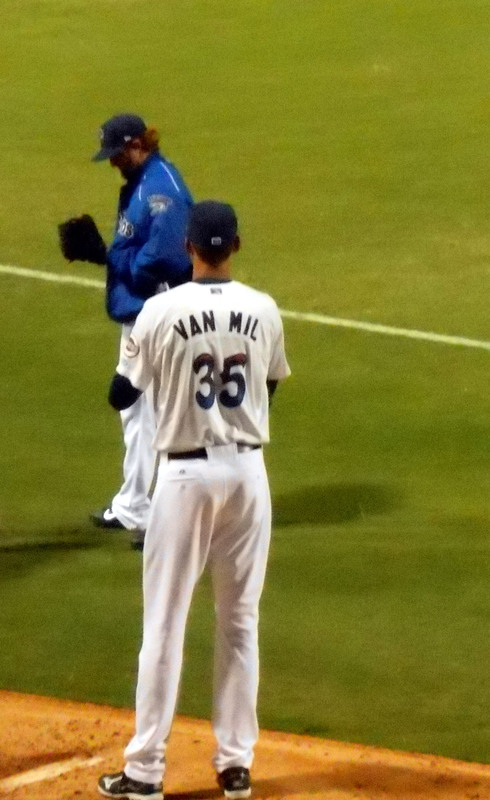 Van Mil is currently being targeted as a relief pitcher but time will tell whether he can find the right balance between control and velocity to make it to the Big Leagues. 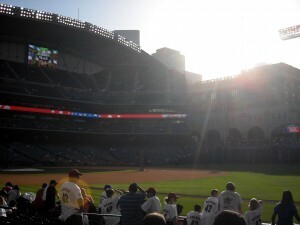 As with my previous visit to the ballpark there was a lot of opportunity to people watch. Being seated directly behind the all you can eat party deck provided ample amounts of entertainment. One fun game was the how many trips through the hot dog and hamburger line will particular people make game. Of course the rush of steam when the hot dog tray was opened provided a little bit of warmth for me as well so I was certainly counting on people making as many trips as possible. While the party deck in front of me provided countless amounts of amusement when the action on the field became lopsided, the row of people behind me was very annoying. I am a huge believer in free speech so in no way am I suggesting that people shouldn’t be allowed to talk in a ballpark. I am saying that a row of people should not talk so loud that everyone in the section can hear every little detail about them. But despite a losing effort by the home team, cold temperatures and certain annoying fans my first road trip of the 2013 baseball season was certainly enjoyable. I came, I cheered, I left and I have the bobble head to prove it. Now if you’ll excuse me, I think it is time to plan another road trip.